Topics are sorted into three categories Dairy, Sheep and General. Toward the bottom of the home page a section called Trending Topics displays topics that are popular at the time. You can also search for a topic by using the search button at the top of your screen. Click on your profile button at the top of the screen and select Edit Profile to add a photo or share a bit about yourself. You can also change your email address and password in this screen. Click on your profile button and select Settings. Choose whether or not you want to receive notification emails for topics or fellow community members that you're following. Simply tick or untick the relevant boxes. If you do want to receive email notifications, you can choose the frequency from daily, weekly or monthly. Click the Add a new topic button along the top of the screen. Make sure you you're creating your topic in the correct category or by entering one of the three categories from the home page before you create your topic. Remember to enter a title for your topic and make it something catchy that will draw people in. Write your post in the main box to the left - you can see how it will look before you submit it in the box on the right. Click Submit when you're ready to post your topic. If you want to reply to or quote an existing topic or comment, click on Reply or Quote located under each post. Quote will insert the entire post that you selected for you to then add your own response. If you want to tag someone into your post insert @ before their user name i.e. @Rural-Community . Remember this is a public forum which means everyone will see this post. The tagged user will then receive a notification that they have a direct comment. To follow a topic, select it to view and click on the Get Topic Updates button at the top right of the topic. 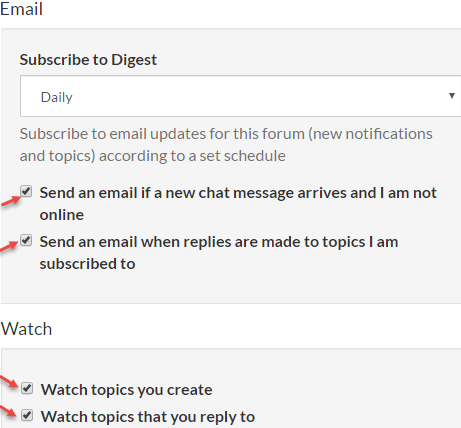 You can also un-follow a topic by clicking on the Receiving Topic Updates button located in the same area. To follow another user, click on their profile picture/button next to a topic or post they've created and select the the plus button. To un-follow a user, follow the same steps. Use Live Chat If you want to speak directly to one of our team. Live Chat can be activated by clicking on this button which appears on each page of Rural Community or at the bottom of the home page. NOTE: Live Chat will only work if you have registered and are logged into the forum. Rural residence is a fruitfulness factor, Write My Essay For Me with absolute ripeness rates and pregnancy is higher among ladies in rustic zones than among ladies in urban zones and the provincial populace is a lot more youthful than urban regions.